Special Containment Procedures: Cases of SCP-1694 and their associated entities currently inhabit the atmosphere and surface of the planet Venus, and therefore full-scale containment is impossible at present. In order to prevent, or at least hinder, the advancement and evolution of the SCP-1694 anomaly, no mechanical or electronic material is to be deployed into the atmosphere, or onto the surface, of the planet Venus. SCP-1694 harbors extreme aggression towards all organic matter, living or otherwise; deployment of organic matter is similarly prohibited. Agents within NASA and ESA are under instruction to halt, hinder, or sabotage any planned missions, manned or unmanned, with the intent to explore the Venusian atmosphere or surface. Description: Cases of SCP-1694 are the residual remains of an extraterrestrial nanotechnological device that was deployed on the surface of Venus by an unknown entity at an unknown time; the effects of which continue to manifest upon any biological or technologically advanced material entering the Venusian atmosphere or landing on the surface. A singular SCP-1694 entity is a microrobotic construct approximately 2mm in length, capable of self-replication, self-improvement, and rapid resource extraction from either geological or organic sources. Cases of SCP-1694 are distributed evenly throughout the atmosphere and surface in numbers between approximately 500 billion and 1 trillion individual cases. On encountering any flesh-like organic matter, cases of SCP-1694 will rapidly shred the object and quickly reassemble the matter at a cellular level into an interconnected mass of various durable appendages and sophisticated organs. Through unknown means, cells from multiple sources can be made to function together, and even dead tissue or matter can be reconstructed and repaired. Due to the fact that SCP-1694 targets biological tissue, it is hypothesised that Venus once contained an ecosystem, native or otherwise, that was ‘harvested’ by an exterior intelligence for the production of simple worker or warrior drones; or possibly Venus was host to an advanced civilization that descended into a nanotechnological war of mutually assured destruction. Due to the aggressive resource extraction of SCP-1694, no traces of civilization or life would now remain. It is additionally theorized that this resource extraction created the large quantities of greenhouse gases responsible for Venus’s present, superheated, state, which by extention boiled off any and all water on the surface and killed any organic matter SCP-1694 had not already destroyed. Although these theories cannot be verified, they go some way to explaining SCP-1694's deployment, as in the absence of biological matter the SCP-1694 entities serve no purpose. Due to the lack of technological constructions for the inhabitation of entities created by SCP-1694, SCP-1694 has proceeded to cannibalize and enhance man-made exploration probes with biological appendages, most notably the Soviet Venera –class probes. 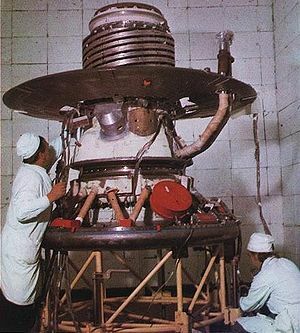 Venera 12 was among the first successful man-made object to land on Venus, functioning for three hours before shutting down due to the extreme heat of the Venus surface. The success lead to the deployment of five further Venera series probes. However, in 1984 the Soviet controllers were alarmed to receive radio signals emanating from Venera 12, henceforth SCP-1694-A, which was now, inexplicably, fully functional. 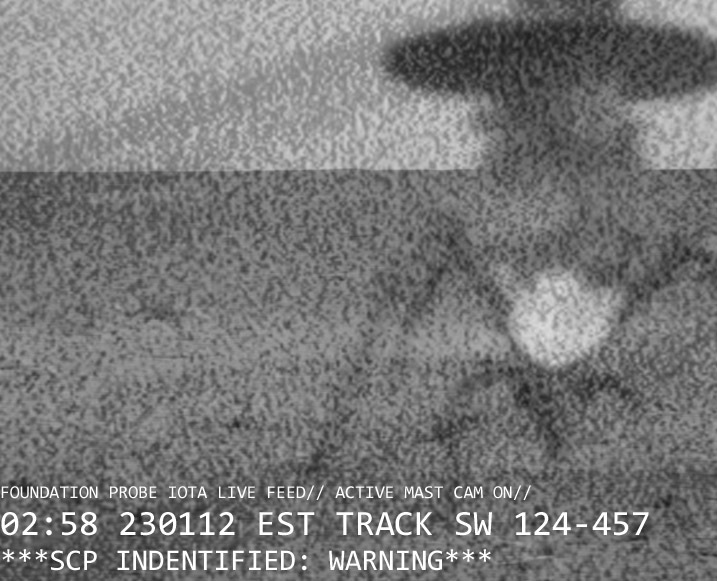 The Venera project passed into Foundation hands and probes were dispatched to investigate the current status of SCP-1694-A and all other man-made objects currently occupying Venus. The Foundation space program was very much in its infancy when the SCP-1694-A anomaly was first identified, or SCP-1694, as it was then known, since we naturally assumed it to be a stand-alone entity. The mission would jointly serve to investigate the anomaly, as well as jointly testing the limits of our new technology. Researchers devised a ‘scattershot’ approach to investigating the status of the 8 man-made probes occupying the surface, with ten relatively simple Foundation probes to be deployed on the surface, each with a five hundred-mile scan radius. Search efforts would be directed via an orbiting satellite. Launch from the Antarctic space center presented difficulties, but occurred without fault. SCP-1694-A was quickly identified as its constant radio messages provided a source to home in on. Probe Delta unfortunately crash-landed, but probe Beta was re-directed to study the anomaly. SCP-1694-A was confirmed to indeed be formerly the Soviet Venera 12, and was largely intact with the exception of several ruptures around the base, through which a reddish-brown tentacle-like mass was being extruded. These ‘tentacles’ were wrapped firmly around the bottom half of the probe, and it appeared that SCP-1694-A had not moved for some time. It was sitting- I believe that is an appropriate term- in a shallow crater, which was smeared with a reddish substances believed to have been created by the SCP-1694-A anomaly. Naively, we believed that it was perhaps too heavy to move, so upon moving in for closer interaction the SCP-1694-A took us by surprise, swiftly destroying the probe with its tentacles, meaning ultimately very little was learnt about the anomaly. SCP-1694-A before its anomalous state. However, our frustration quickly turned to horror as we realized that the same reddish-brown biological matter was being extruded by our own research probes. Probe Delta, I believe, had its manipulator arm replaced with a biological multi-segmented arm and four-fingered hand virtually overnight; these revelations were what lead to the discovery of the SCP-1694 entities. Although the probe remained under Foundation control for a further five hours, control became increasingly erratic and was finally broken, with contact with the other probes similarly lost. 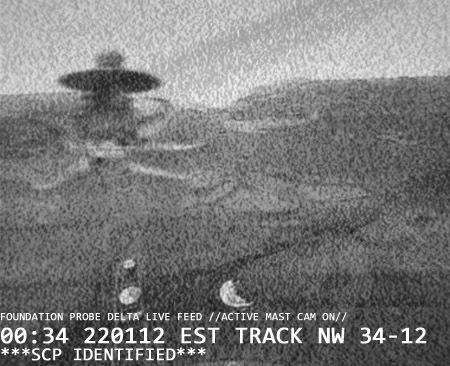 Although Probe Epsilon detected another anomalous Venera entity before its destruction, no other interactions were made. Although the mission served as a wake-up call as to the nature of the SCP-1694 entity, it will ultimately be remembered as an expensive failure. Probe Iota’s final transmission of an unknown SCP-1694 entity. It is unknown how SCP-1694 acquired the biological matter needed to create the SCP-1694-A entity. It has been hypothesised that a portion of the original Venusian ecosystem is being preserved by SCP-1694, and harvested as required.